Background/Purpose: Tanezumab is a humanized mAb that blocks nerve growth factor (NGF) and is in clinical development for chronic pain treatment. Tanezumab administered intravenously has proven efficacy in previous studies of osteoarthritis (OA) pain. Methods: A randomized, double-blind, placebo-controlled, multicenter, parallel-group, 40-week study (16-week treatment period; 24-week safety follow-up) was conducted to examine the efficacy and safety of subcutaneous (SC) tanezumab administered in two treatment regimens over 16 weeks: fixed-dosing (2.5 mg administered at Baseline and Week 8) and step-up dosing (2.5 mg administered at Baseline and 5 mg at Week 8). This study enrolled OA patients who had not responded to or could not tolerate standard pain treatments. Patients (N = 696) had: OA of the hip or knee based on clinical and radiographic ACR criteria, baseline WOMAC Pain and Physical Function scores of ≥5 (11-point numerical rating scale), baseline Patient’s Global Assessment of OA (PGA-OA) of “fair,” “poor,” or “very poor”, and a history of insufficient pain relief or intolerance to acetaminophen, NSAIDs, and either tramadol or opioids (or were unwilling to take opioids). Co-primary endpoints were change from Baseline to Week 16 in WOMAC Pain subscale, WOMAC Physical Function subscale, and PGA-OA. Safety assessments included adverse event (AE) reporting, physical and neurological examinations, joint x-rays, electrocardiogram, and laboratory tests. Results: At Week 16, patients treated with tanezumab 2.5 mg or 2.5/5 mg experienced statistically significant improvement in WOMAC Pain, WOMAC Physical Function, and PGA-OA compared with patients receiving placebo (Table 1). Both tanezumab dosing regimens met the study co-primary endpoints. The most common AEs (≥3% in any treatment group and more frequent in each tanezumab treatment group than in the placebo treatment group) were nasopharyngitis, pain in extremity, and paresthesia. The incidence of serious AEs or withdrawals due to AEs was similar between treatment groups (Table 2). Adjudicated rapidly progressive OA occurred in 1.3% of tanezumab-treated subjects during the 40-week study. Conclusion: Tanezumab 2.5 mg SC provided significant pain relief and improved both function and PGA-OA versus placebo in OA patients. Increasing the dose to 5 mg at Week 8 was associated with modest additional benefit versus continuation on tanezumab 2.5 mg. This study demonstrates that SC tanezumab may be an effective option for patients who have demonstrated intolerance or incomplete response to standard treatments for OA. Table 1. Change in Baseline to Week 16 in WOMAC Pain subscale, WOMAC Physical Function subscale, and Patient’s Global Assessment of OA. Table 2. Summary of adverse events and those reported in ≥3% of patients in any treatment group during the Treatment Period. Disclosure: T. J. Schnitzer, AbbVie Inc., 5, 9,Aptinyx, 5,Genzyme, 5,Eli Lilly and Co., 5, 9,Pfizer, Inc., 5, 9,Regeneron, 5, 9,Vertex, 5,Grunenthal, 9,Radius, 9; R. Easton, Pfizer, Inc., 2; S. Pang, Pfizer, Inc., 5; D. Levinson, None; G. Pixton, Pfizer, Inc., 1, 3; L. Viktrup, Eli Lilly and Company, 1, 3; I. Davignon, Pfizer, Inc., 1, 3; M. T. Brown, Pfizer, Inc., 1, 3; K. M. Verburg, Pfizer, Inc., 1, 3; C. R. West, Pfizer, Inc., 1, 3. Schnitzer TJ, Easton R, Pang S, Levinson D, Pixton G, Viktrup L, Davignon I, Brown MT, Verburg KM, West CR. Efficacy and Safety of Subcutaneous Tanezumab for the Treatment of Osteoarthritis of the Hip or Knee [abstract]. Arthritis Rheumatol. 2018; 70 (suppl 10). 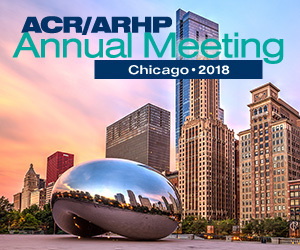 https://acrabstracts.org/abstract/efficacy-and-safety-of-subcutaneous-tanezumab-for-the-treatment-of-osteoarthritis-of-the-hip-or-knee/. Accessed April 21, 2019.